Are You Thinking, “I Need To Sell My House Fast In Vaughan”? If you need to sell your house fast, then you’ve come to the right place. We started buying houses for investments back in 2003 and we’ve bought houses all over Vaughan. You probably have questions about what we do and what we can do for you. I welcome you to call us any time at (647) 848-7790 or contact us here through our website. We buy houses fast through all kinds of methods. If you have a house that needs repairs or updating, then contact us. If you have a time-sensitive situation, then call us and you can have your house sold in days not months. We buy houses fast with cash and we can get you an offer within 24 hours. But, if you need months to move, that’s OK too. Maybe your house is stressing you out and you need to get your life back. Your health is more important than a house. We buy houses quick, quiet and easy. You get to avoid open houses and avoid people browsing through your house for months. Privacy is important to us, we don’t share your information and we’re accredited with the Better Business Bureau and have an A+ rating. How To Sell My House Fast In Vaughan, ON. If you’re thinking “How Do I Sell My House Fast in Vaughan?”, then contact us! Do you think that any agent will hand you an all cash offer to buy your Vaughan house within 24 hours after calling them? I’ve never heard of that happening. We help people who are in tough situations, such as death of a family member, foreclosure, divorce, difficult rental property, unaffordable repairs, and many others. We can help people by buying their Vaughan property at a fair price and using all cash. So you can sell your home fast in Vaughan. Want to stop the hassle of owning that house any longer? Want to skip waiting months to sell a property the traditional way? Want to avoid paying fees and commissions? Just let us know about the property you’d like to be rid of and sell your house fast for cash. You can talk to us directly before submitting your property information by calling us today at (647) 848-7790. 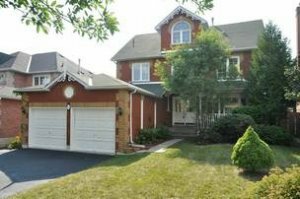 Would An Investor Buy My House In Vaughan For Asking Price?